Some cursing. Suggestions of violence and death. The big day came, and Anna was tempted to tie up Marisol and stash her in the closet just to be safe, but instead she put on her makeup and her pale blue gown (it was prettier than she remembered) and called, “Marisol! Are you making a whole new dress from scratch in there? We gotta go!” just like last time. Marisol tapped her on the arm. “I’m flattered, babe, but you can gaze upon my splendor later.” They grabbed the wedding gift bag and pelted down the stairs and out the lobby door to the street. Their timing was perfect, anyway: the car Anna had summoned pulled up, shiny and black, just as they reached the curb. They slid into the back, adjusting hems and getting comfortable: it was about a twenty-minute ride to the park where Del and Kelsey were getting married. BREAKING! Escape Pod is a Finalist for the Hugo Award! We are thrilled to announce that Escape Pod is a finalist for the Hugo Award for Best Semiprozine! We are so grateful to those who nominated us as well as our whole team, who work so hard to put together this podcast week after week. Not to mention the amazing authors who have trusted us to bring their stories to audio. Currently, Divya, Mur, Benjamin, Tina, publishers Alasdair and Marguerite will be attending WorldCon in San Jose. Thank you from the bottoms of our heart for your support! Flash Fiction Contest – Landing Soon! Escape Pod is proud to present the fourth annual Artemis Rising event through the month of March, 2018! We have five original stories for you this year, all guest-edited by our Associate Editors, Laura Pearlman and S. Kay Nash. Our custom artwork this year is by the talented Geneva Benton. You can buy prints of the illustrated cover or underlying fine art image directly from Geneva. In case you are eligible to nominate and/or vote for science fiction awards, please consider the stories first published by Escape Pod in 2017, or reprinted in Escape Pod and first published elsewhere in 2017. All of these stories fall into the Short Story category for the Hugo and Nebula Awards. Escape Pod is also eligible for the Best Semiprozine Hugo Award. In 2017, our editors were Mur Lafferty, Divya Breed, and Norm Sherman. 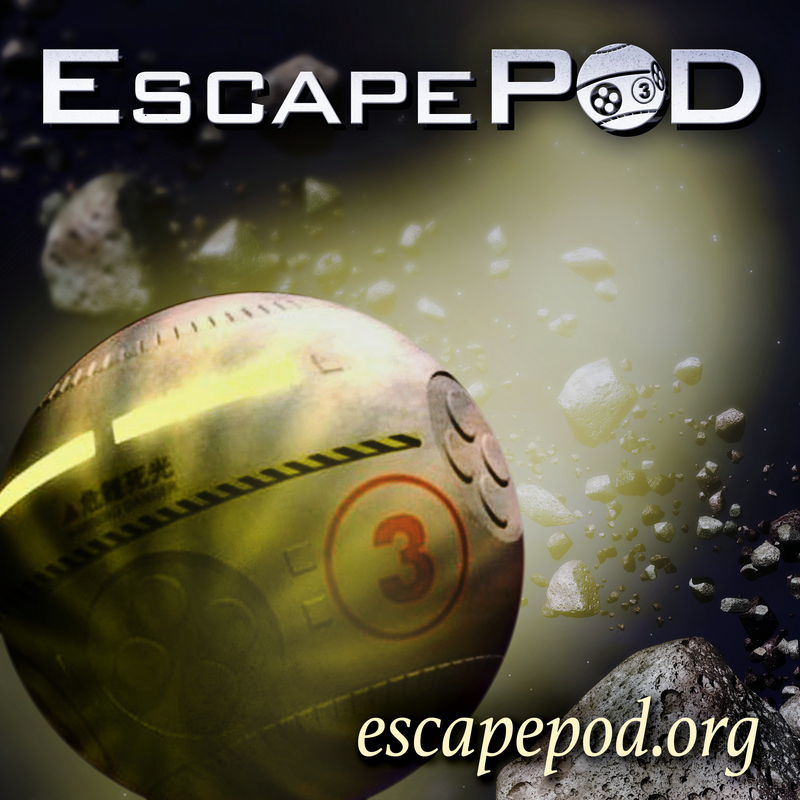 As you’ve likely noticed, Escape Pod and all of our siblings in the Escape Artists family have a new look! We’re very excited about our lovely new website, but as with any frontier, we’re likely to encounter some unexpected problems. We appreciate your patience as settle into our new home! It’s with mixed emotions that we announce our news: Divya Breed and Mur Lafferty are the new co-editors of Escape Pod. Our beloved Norm Sherman has stepped down from the big chair due to a variety of personal reasons. Benjamin C. Kinney has taken the role of assistant editor. Norm has been a force of nature at the Pod, steering it with a sure and steady hand. Everyone here at Escape Pod and elsewhere in the Escape Artists family is deeply grateful for his hard work, and sends him all their best. Mur and Divya look forward to bringing you the best, thought-provoking, and fun science fiction they can find. You can reach us at the new alias for Escape Pod editorial queries: ansible@escapeartists.net. A look back at 2016 and what’s in store for Escape Artists — and for you — in 2017. Artemis Rising returns in March 2017 across all four Escape Artists podcasts! 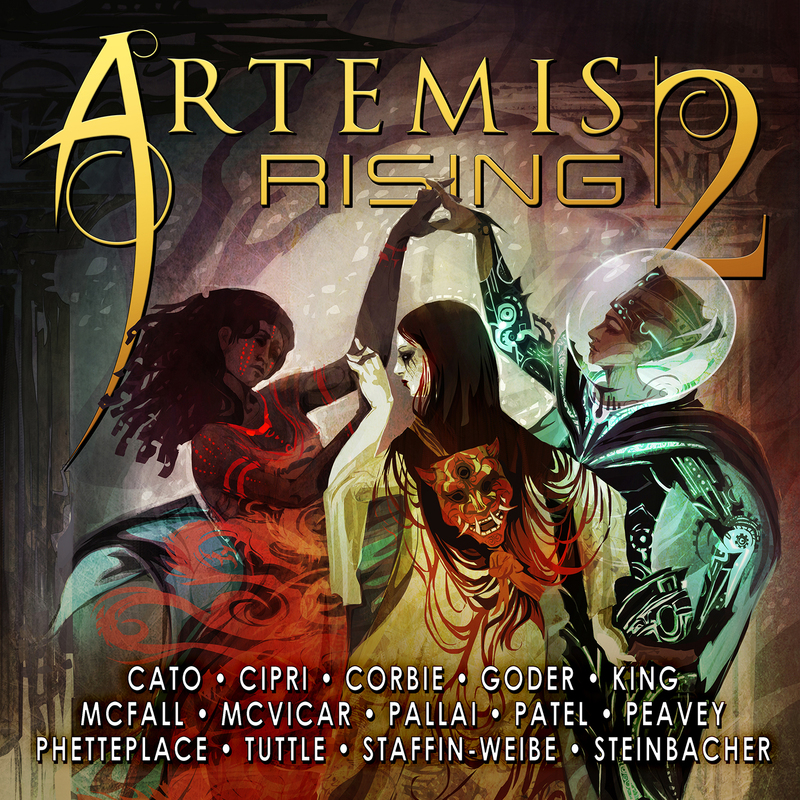 Celebrating its third anniversary, Artemis Rising will be a month-long showcase of stories by women and nonbinary authors in speculative fiction. Escape Pod is seeking original science fiction with a length of 2000 – 6000 words and will be open for Artemis Rising submissions during the month of September 2016. Anyone who identifies as a woman, to whatever degree they do, and non-binary authors are welcome and encouraged to submit a story. Payment, rights, and manuscript format will be the same as specified in our general guidelines, but Artemis Rising will have a dedicated submissions portal. As always, Escape Artists strongly encourages submissions from people of backgrounds that have been historically underrepresented or excluded from traditional science fiction, including, but not limited to, people of color, LGBTQ authors, persons with disabilities, members of religious minorities, and people from outside the United States. Our goal is to publish fiction that reflects the diversity of humankind, so we strongly encourage submissions from these or any other underrepresented groups. The Escape Pod Artemis Rising submissions portal will open on September 1, 2016. We look forward to reading your stories! July 1 – 31, 2016. Reopening August 1, 2016.